over the pass week, the cow head incident has been the center of the talks among people. and then in hope of clearing the problem, they hav a town meeting which obviously ended up preeeeeeeety baaaaadly. anyone who is aware of the situation and how similiar things are often settle knows that tis is gonna end up with nothing achieved. we would be considered lucky that a riot didnt break out. finger pointing again*groan, i wonder if there even all resident from sec 23,if u ask me, they look like they are performing or something. point back! greatest come back of the year, well at least they don seem so ganas.kesian,they are the victims here,i mean the bigger victim sorry. stop stop! i dunno who to help now, pls help me choose side, because being neutral is not in my dictionary. way to go, now the protesters win again, no need to relocate, they discuss later date, lets say 100 years later when evryone around tis time is long gone. ZzZzZzZz , for wat hav dumbass town meet la. they probably knew tis would happen. HERE THE SO CALLED REASON ALL TIS STARTED AS REPORTED at malaysiainsider. 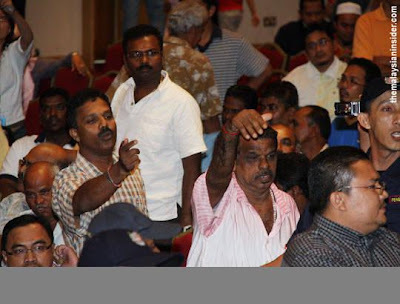 “Muslim sensitivities” was used by the Malay residents of Section 23 as the central reason to reject the Hindu temple relocation, but when some were asked today what these “sensitivities” really were, none of them could give a straight answer. 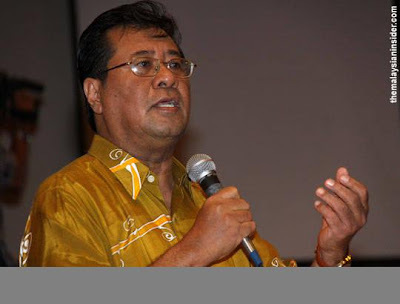 Yet Malay residents of Section 23 said they felt their religion, Islam, had been profoundly threatened by the temple relocation proposal by the Selangor Pakatan Rakyat government. and thus the meeting didnt end will and the problem was shelved, it kinda shows when protesters such as those came out shouting and yelling like gangsters , uncivilized. the point of the meet was to settle things in a civilised fashion. it kind of makes me think, those shouting and protesting, insulting and confronting others, they are so high mighty about how tis relocation will affect the sanctity of their religion. den i have one question oni. IS THIS HOW A FAITHFUL FOLLOWER OF HIS/HER RELIGION ACT? TO INSULT OTHERS AND EVEN THEIR ON FELLOW FOLLOWERS?. i think i made my point. good day people. 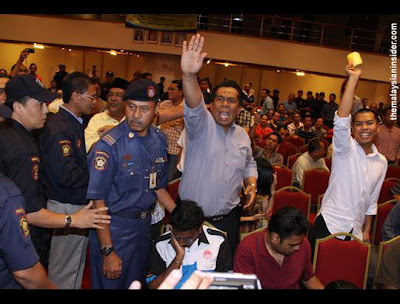 Actually, I'm wondering why I haven't seen any comments by the Indian community from Sec 23 in the papers. And also, if the Indian community from else where can sue the British government and demand monetary compensation for historical events, why not this community sue the barbaric residents for sedition? There's no question whether the incident incites hate or not, because even though the culprits deny responsibility (citing overwhelming emotions that drove them to commit such travesty), they have broken the law. That's why there's this phrase called "CRIME OF PASSION". If every bozo committed a crime and was hoping to get away scot free, pleading that they got carried away because of their emotions, we wouldn't need a justice system, would we?
. wat are we to do.